I wondered if there was a way to write an interesting book about Black lesbians who lived during the 1920’ and 30s. I also wanted to tell the story of the first great migration of Black folks from an agricultural south to the industrial north. What must that like for Black women with elementary school educations and very little skills. Which states did these Black women relocate? What would make them leave home and go into the unknown north? How did these women fair in their newly adopted homes. I debated if this book I wanted to write should be an official history book or a fictional account. I’d read a couple of fictional books who did a good job of teaching a bit of actual history by blending in personal accounts. I wanted to write a similar book. I was curious what Black lesbian life was like in the Harlem of the 20s and 30s. I decided to do some research before I started writing “TYSON” a bittersweet tale of loyalty, murder and romance during Harlem’s Renaissance. My purpose was to write a fictional murder mystery that takes place during that time. What I discovered was nothing. There were volumes written about white gays and lesbians living in New York during that time but very little, usually one or two paragraphs sometimes an entire page or two about Black gay life in Harlem. I found even less information, mainly antidotal information about Black lesbians living during the time period I was interested in. I enjoyed the research I’ve done on the subject of Black lesbians of Harlem in the 20s and 30s. Back in 2003, when I began researching this novel, I worked full time for the city so I did research at local libraries, cultural organizations like Herstory (lesbian archives) in Brooklyn, the LGBT Community Center’s historical collections at 13th Street in lower Manhattan, Schomburg Center for Research in Black Culture on 135th Street and Malcolm X Blvd after work and on weekends. I should also mention that I spent many a Friday night and Saturday morning in the HUEMAN bookstore next door to Magic Johnson Movie Theater on Fredrick Douglass Blvd between 125th and 124th Street in Harlem. Writing this novel has taken a great deal of my time and my spirit. There were days when I was so ready to give up on writing this novel. I could literally hear my characters speaking to me in their semi-literate English with Southern and Northern twangs. I had headaches as I tried to capture their stories on my laptop. At first, I couldn’t record their stories as fast as they spoke. Then I couldn’t figure out how to end my novel because I didn’t feel I was capable of telling the ending. I had to take a breather from “TYSON” that lasted for two years. In between exhaling, I wrote another mystery novel and several romance novels to help me figure out how to write a proper ending for the novel. Writing a novel of historical fiction has been a poignant experience that I wouldn’t trade for anything in the world. It was a great deal of fun to write. I did all my own research which meant I went on tours of the Harlem of the 20’s and 30’s. 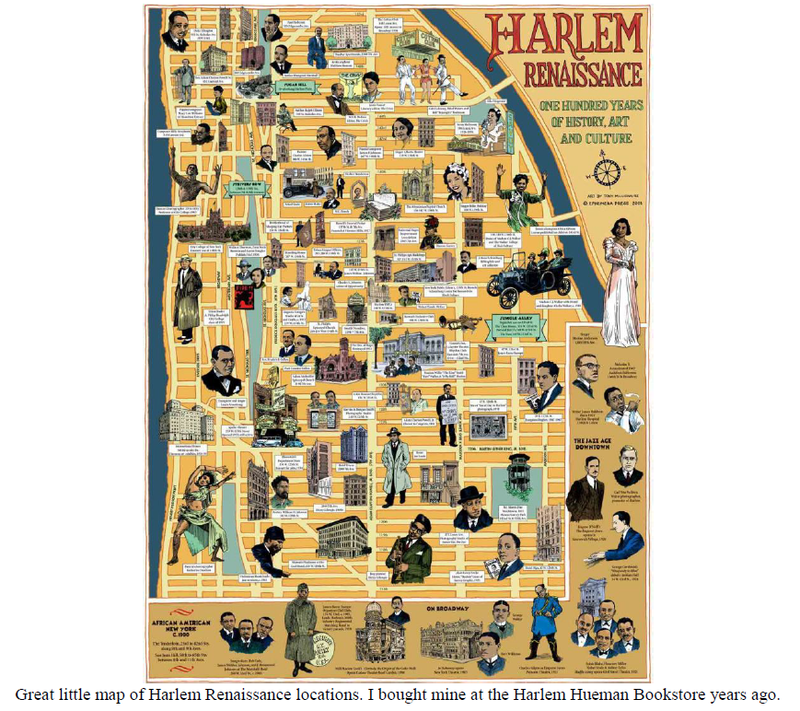 I also used a great research library for Black culture (the Schomberg) which is located in Central Harlem. I also bought 70 books about Harlem in the 20’s and 30’s. I have to admit the book took me 18 years to write but the book was worth it and so were all the things I learned in the process. I’ve lived in Harlem for nearly 50 years and there were many things I didn’t know until I started writing this book.